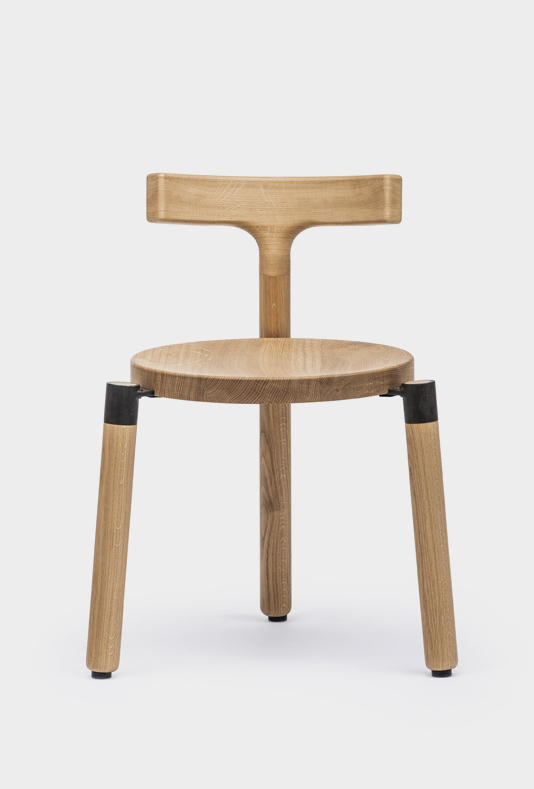 The three-legged archetypal 'BKRK chair', with back, is stackable. 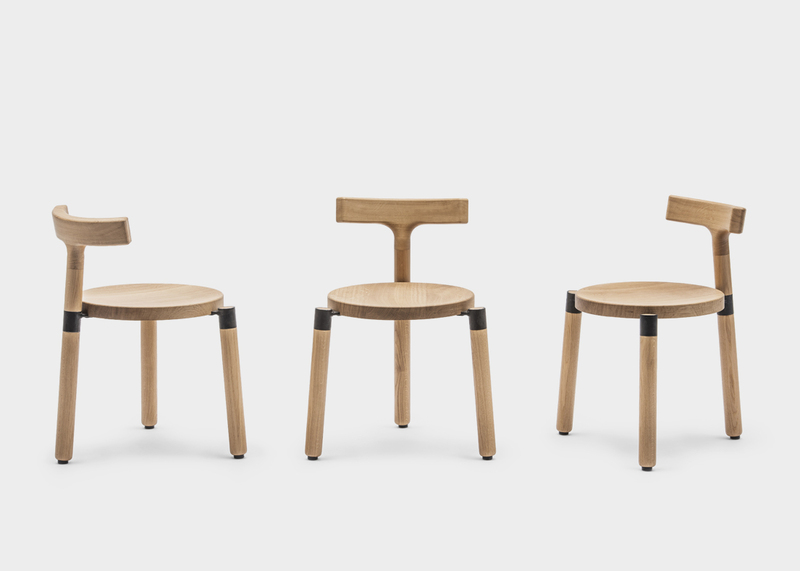 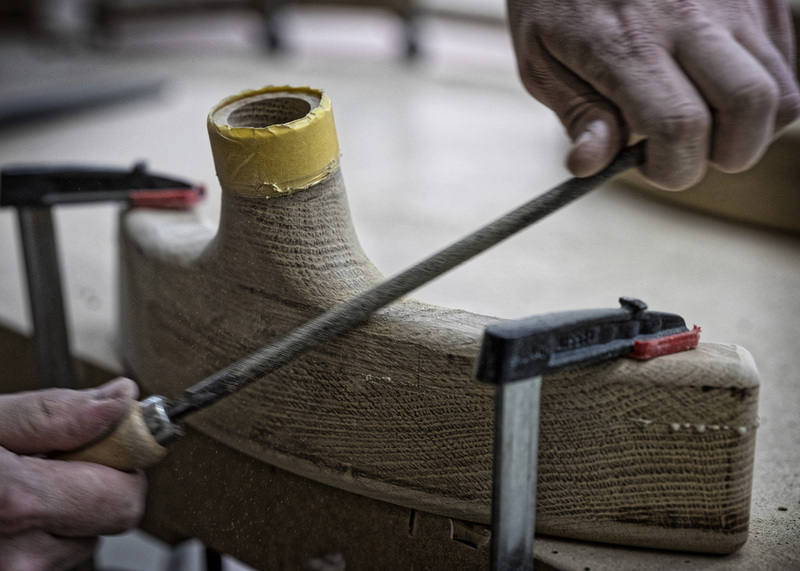 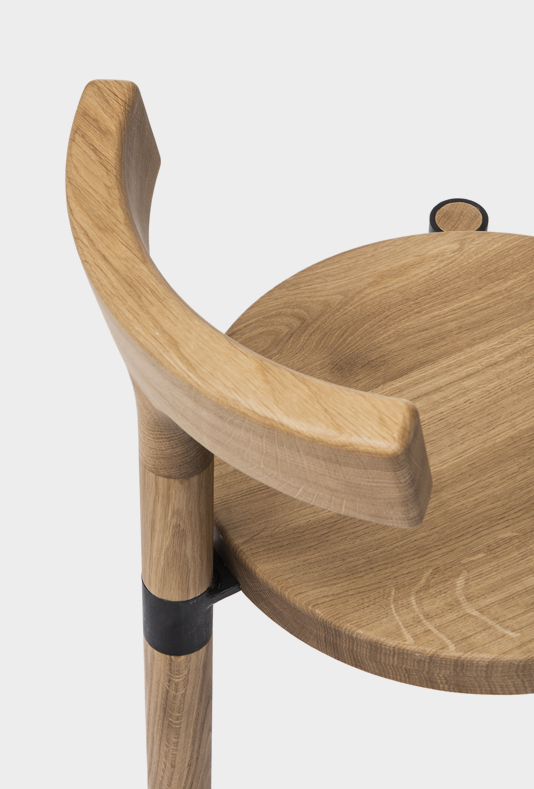 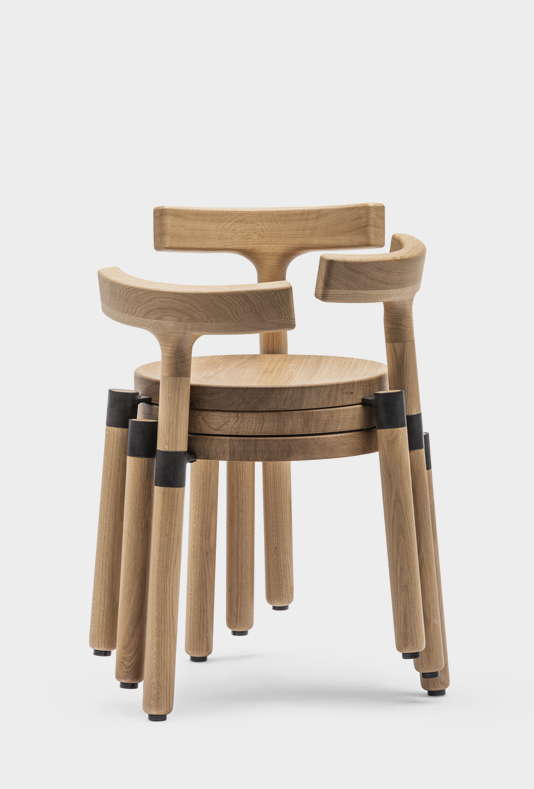 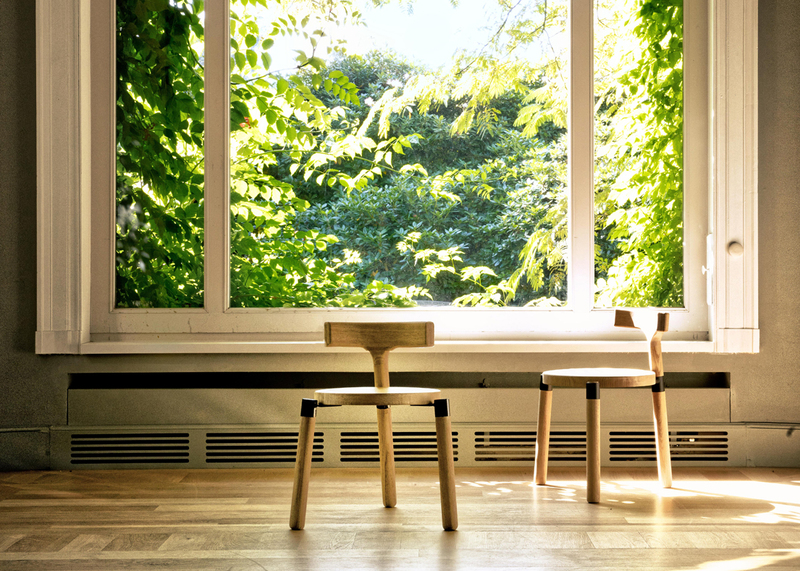 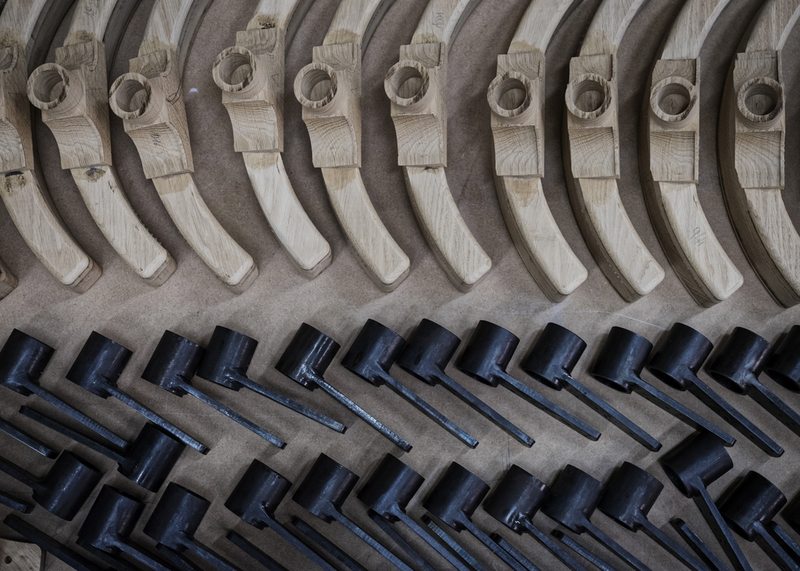 The legs are made of rounded, solid oak elements. 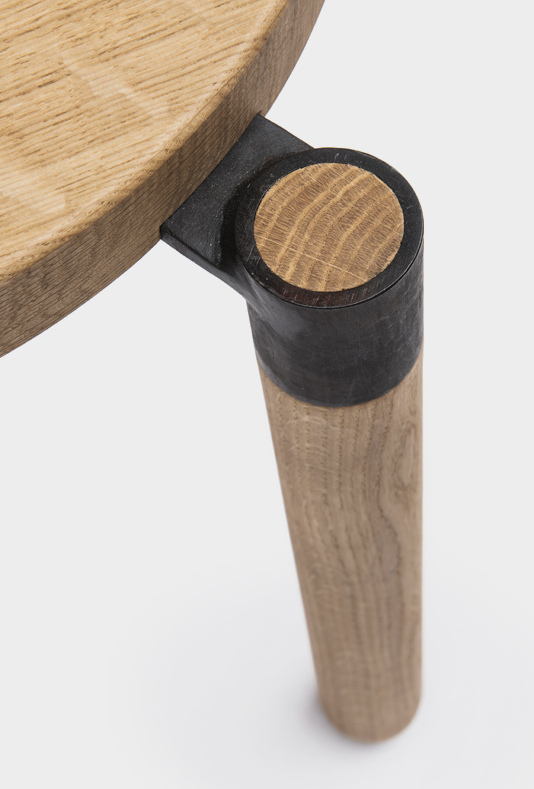 Equally solid are the seat and the back which are connected using metal elements that refer to the way gardentools are put together.